Snow is stacking up nicely across the state and for the first time this winter you can build a snow structure pretty much anywhere from International Falls down to Albert Lea. Whether just a fun winter shelter or you plan to do some winter camping, here are are a few ways you can turn the snow into an enjoyable experience. An igloo is probably the most well-known snow structure, but it is also the least versatile when it comes to snow conditions. Igloos require deep dense snow, which can either be found in wind-swept banks or packed beneath the layers of fresh snow. Here's a short (and slightly dated) documentary video from 1949. Here's another technique to build an igloo. Typically, try to build your igloo with a diameter of about seven feet. Any larger, and it may be difficult to balance the snow blocks. 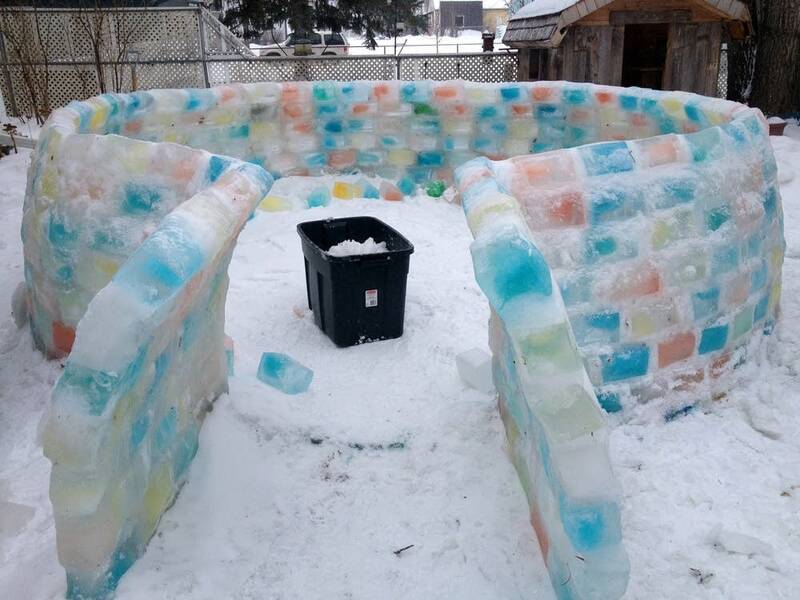 If there's not enough tightly packed snow for an igloo, build a quinzee instead. Simply pile snow into a mound about seven to eight feet tall, then burrow out the snow inside. You'll want to keep the walls of the snow fort to be about a foot to two feet thick. You can read more on this technique here. As you spend more time inside the snow structure, your body heat helps to increase the interior temperature and strengthen the structure. The air that's captured within the snow serves as an insulator, and the walls guard you against any snowfall or wind. As it warms, the snow starts to melt and refreeze. That helps to solidify the walls. If you don't have the time to build a snow fort, use a similar technique on a much smaller scale to make yourself a snow lantern for the yard. So many words for snow? Inuit communities in Arctic regions have a number of words for snow (but the commonly cited number of 52 terms is frequently criticized). Linguist and missionary Lucien Schneider, according to the Canadian Encyclopedia, identified a dozen words referring to snow, and about 10 words referring to ice. However, these words can have modifiers added to them to more precisely describe the condition of the snow or ice. In Inuktitut dialects, a single word with various modifiers can describe a similar concept that normally takes a full sentence in English languages. Learn more about languages like this from the video below.